Dogs welcome on Monday, September 3rd, 2018. 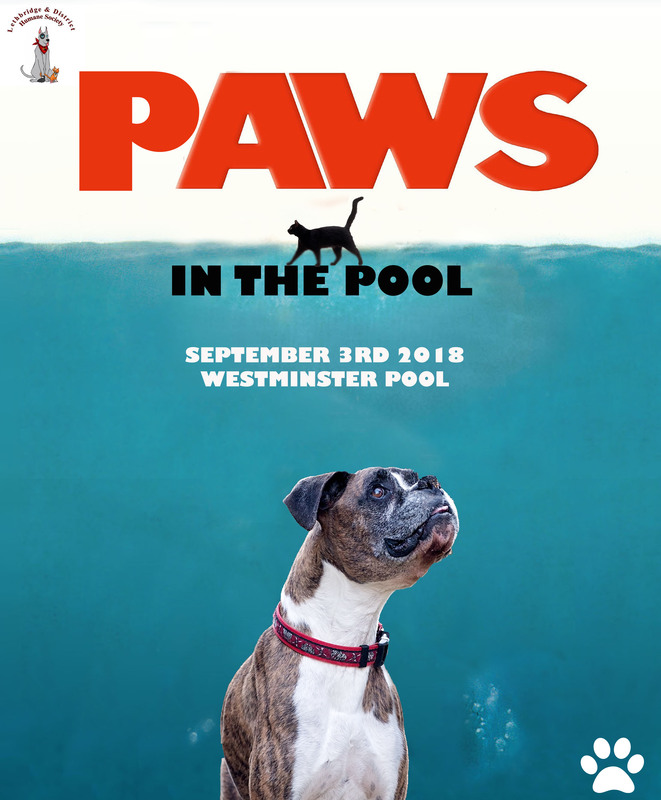 The Westminster Pool will open its swimming pool to dogs, before it is drained for their annual cleaning. A $10 minimum donation is required for each dog. The proceeds will go to The Lethbridge & District Humane Society. All dogs must be accompanied by a handler over the age of 18, be on a leash when out of the water and have proof of current rabies vaccine. The pool will be open between 10:00AM- 4:00PM.